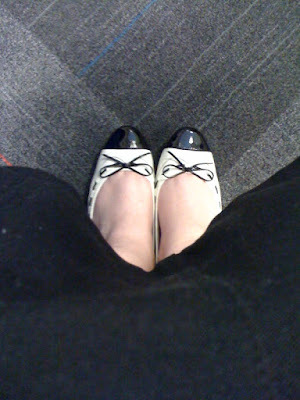 That's right... more new shoes to wear (I swear I've had these for awhile and just haven't worn them...) They're pretty different... and not exactly comfortable. Yesterday, I was told no one had signed up for "Chocolate Thursday" so I was volunteered. Basically every Thursday at 3:15pm we stand around and eat chocolate and talk about our upcoming weekend (in the summer we have Summer Hours which is a half day on Friday... normally it would be Chocolate Fridays). 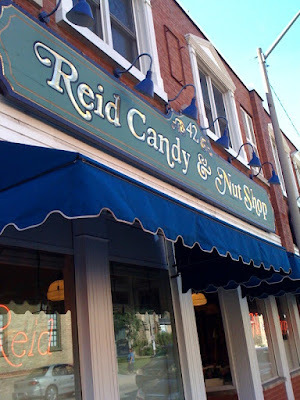 Anyway, Ian suggested we go to Reid's Chocolate shop to pick some up. Yeah.... $50 later....... Two words: Maple Fudge.